Extreme Algarve Kitesurfing - Extreme Algarve, Surfing & Kitesurfing Holidays, Lessons & Courses in Portugal, Surf camp and kite surf camps. 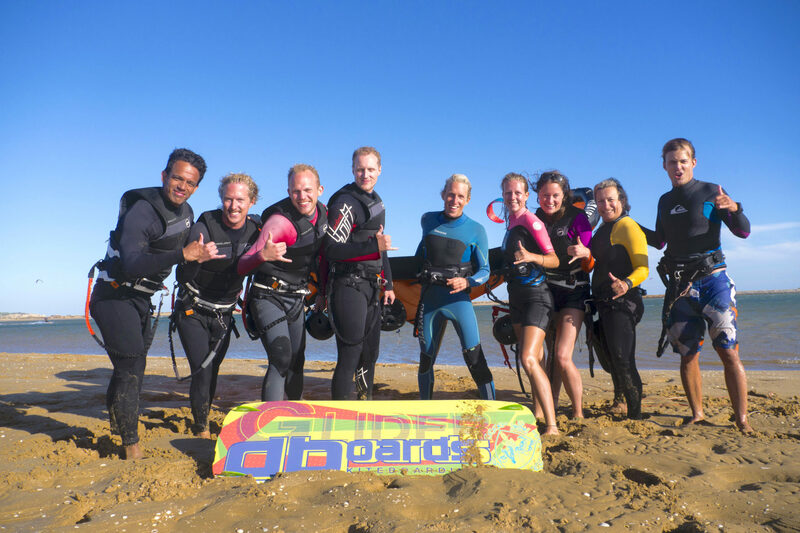 The Extreme Algarve kitesurfing school is ready for you with a professional team and your safety is our number one priority. 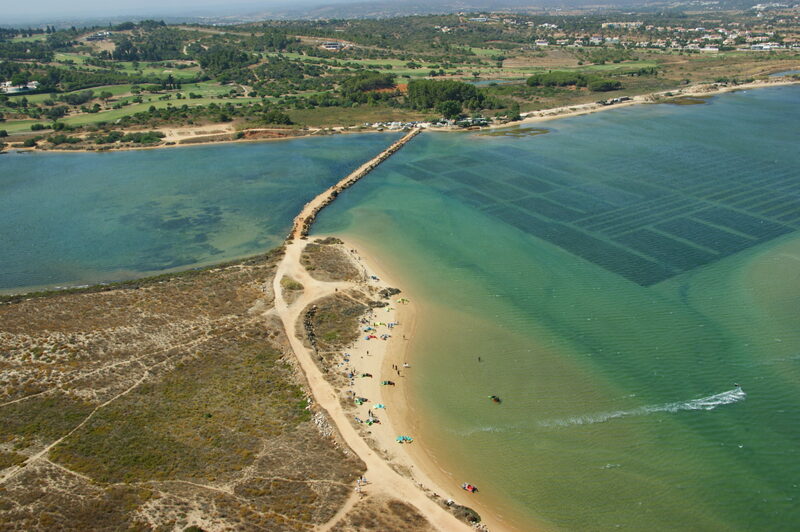 We will take you to the flat water lagoon of Alvor. 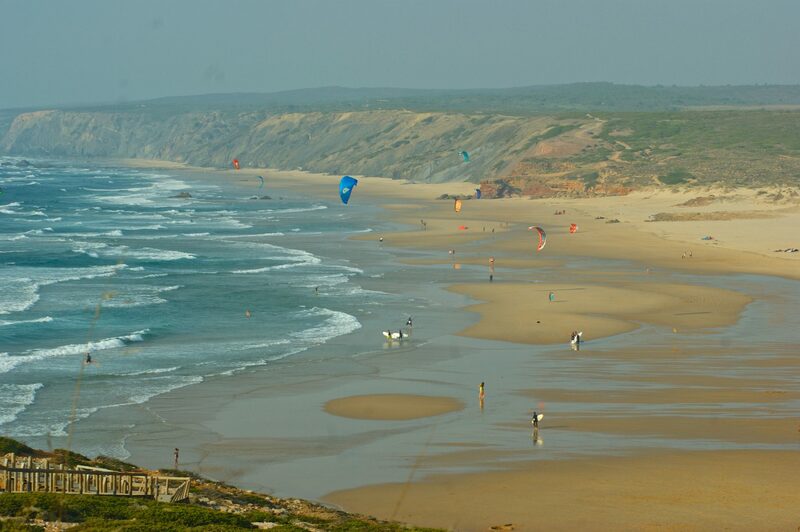 Located about 15 minutes from Lagos, this is the perfect environment to safely learn and improve kitesurfing. The timing of your lessons is depending on the wind forecast. We usually leave early afternoon. and return you home just in time for some well deserved after kite grub! 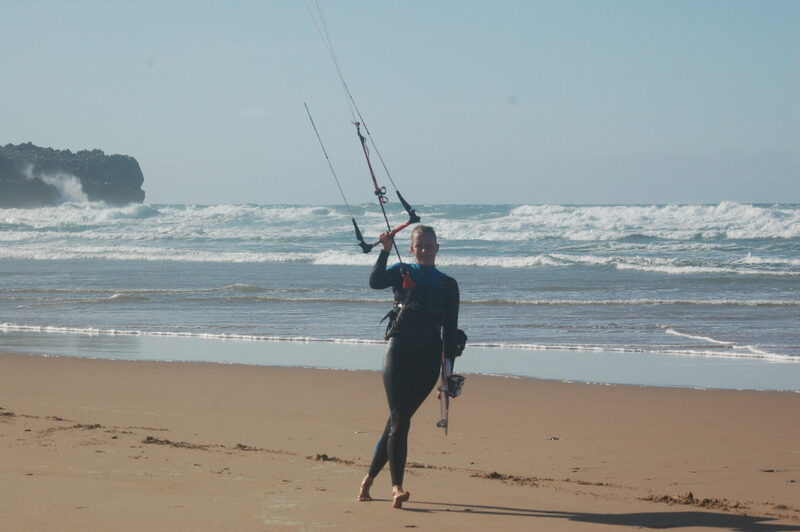 We work with experienced and licensed instructors only and try to teach 3 hours per day, depending on the conditions. 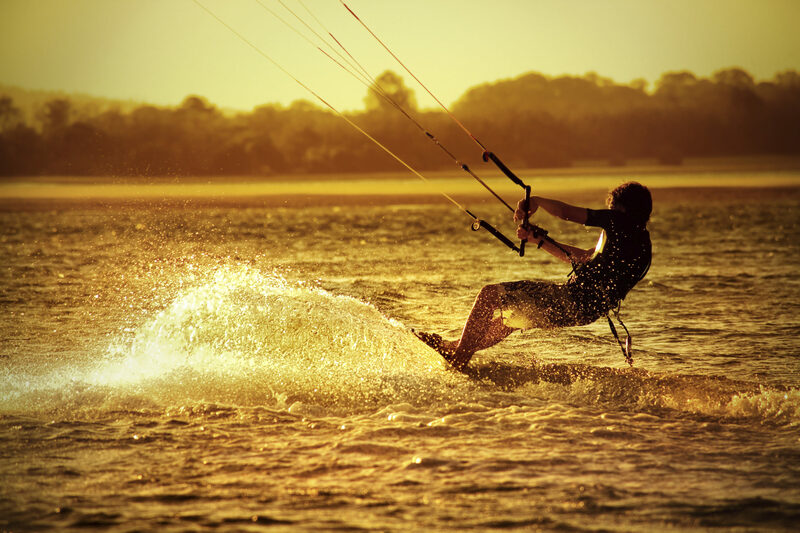 The course is based on the standards of the big kiteboarding organizations: IKO, VDWS and BKSA. The Extreme Algarve kitesurfing lessons will be taught in groups of max 2 persons per kite and max 4 persons per instructor on Airush kites. The flat water lagoon with its sandbanks is an ideal and safe learning environment for beginners as well as the perfect playground for advanced riders. When the tide is too high to walk on the banks, we’ll bring our support boat so you can safely keep practicing. In the overview below we show you the average progression kite students make during group lessons. Of course, every person is different and you might progress at a faster or slower pace. To practice by yourself in the Alvor lagoon, you need to be able to ride upwind. We always recommend a course of at least 10 hours for complete beginners that want to get the most out of their kitesurfing week. 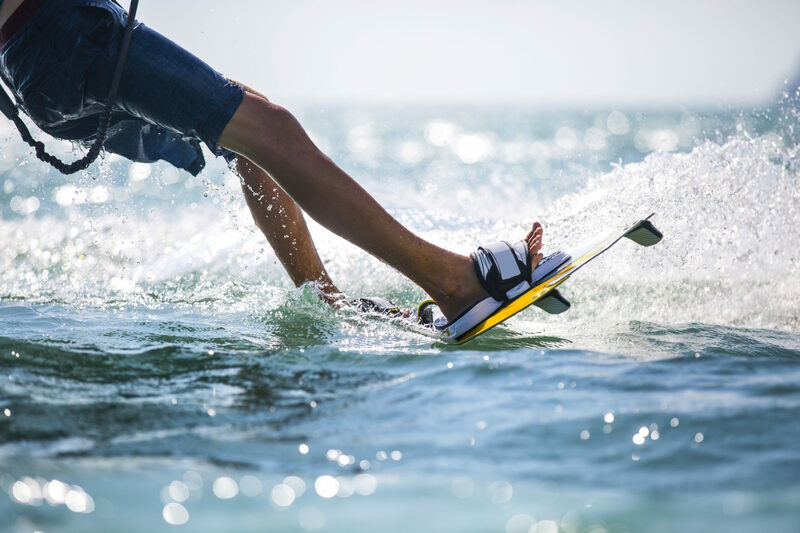 Hours can only be increased on the go if availability allows and the great thing about kitesurfing is that there is always something more to learn! 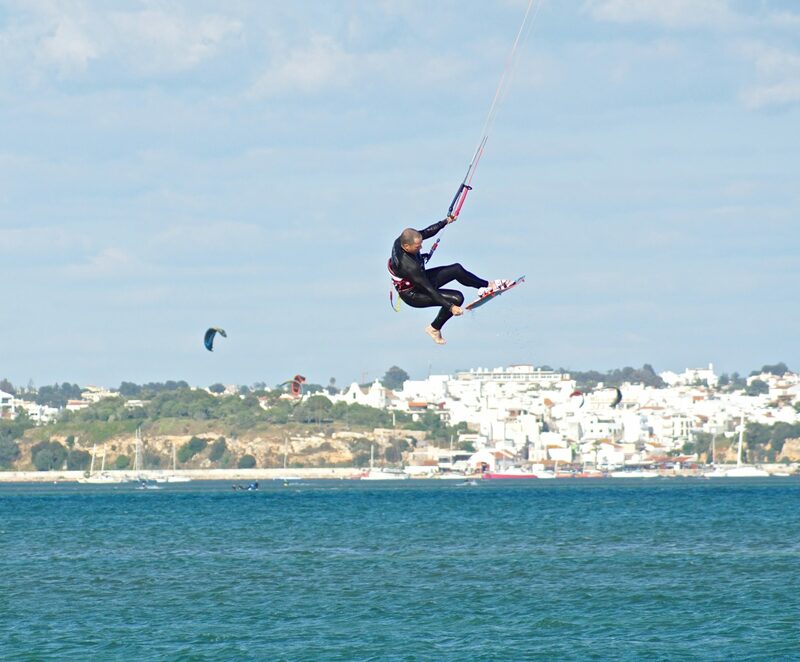 Are you ready for your Algarve kitesurfing adventure?